Kratom Forest is the website of a kratom seller, but it doesn’t have many frills, which are part of our requirements, which include complete descriptions and facts related to the products. If these frills are unavailable, it becomes tough for us to make a decision over the purchase of that product and to estimate the worth of the products, which are presented on the website at high prices. 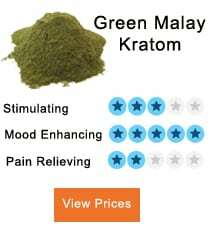 There are few other online vendors of kratom as well who are involved in the business of the herbal remedy and even offer a significant variety of strains having unique qualities, but they do not include enough information on their websites to present the products in a way that could catch the attention of users. When the website is visited, its homepage will show a variety of photos of the products which are sold there. You will be able to check out various kratom powder options on the site. Along with some well-known product strains like Borneo, Green Malay Kratom, and Bali, some unknown strains are also presented; for example, Majestic, ZK, and KX. 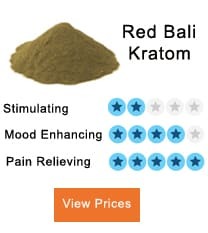 When we are looking for kratom products and decide to click on one of them to see what the vendor is describing that, some admiring phrases can be found. For example, “Best Ever” or “Wow.” These are the words that at once persuade you to see what the best kratom vendor has got, and the words also look good, but unfortunately, without a proper and complete description of the product, no one would take the risk of buying it. There are some specific important questions you typically have in your mind when you are looking for any product. Is the product going to be safe for use? Is this product worth what I am paying for it? Where does this strain come from? What dose would be suitable for me? When we look at Kratom Forest and its way of describing the products, these questions in your mind will not allow you to take the risk of ordering from them. 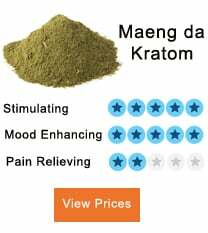 We would recommend that the kratom vendor make a comparison of their website with some other sellers who have made their sites eye-catching; this would help them to make amendments to their site and attract more customers. Kratom Forests offers most of the products in large quantities. For example, you can purchase half or quarter kilograms of a product by paying over $100 or $200 for them. The deal is a good one, but we must know about the correct details of the products. Some products are available at reasonable prices as well, but the question arises that if you are paying $10 for an ounce, is it worth that? You cannot judge the worth only by reading words like “Nice” or “Great” to describe the products. Vendor appreciates the comments of users so that they may share their experiences, but an unfortunate situation about the website is that the space given on the site for that purpose is empty. People have not shared anything, which means that no one is admiring the vendor and its website.